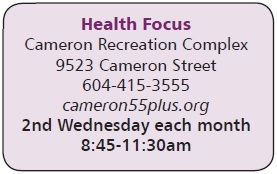 Our mission is to provide easy access to programs and services that assist and educate the fast-growing senior population in Burnaby, to take responsibility for their health and well being. The program contributes greatly, not only to the physical health of our seniors and volunteers, through education, monitoring of health status, and exercise, but also to their mental health, by providing social and emotional support. 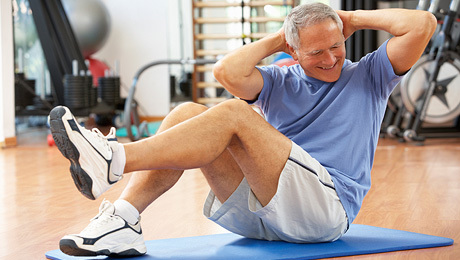 Our preventive program has saved the Health system thousands of dollars. A multi-cultural team of volunteers keep the programs operating, reaching a multi-cultural community. Participants are encouraged to take charge of their own health. The cost to seniors is by donation. For more information contact your preferred centre. 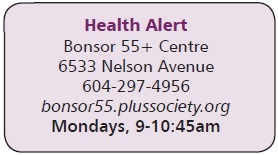 Our Seniors (55+) Wellness Drop-in Services are accessible to all seniors and take place at a variety of locations throughout Burnaby. We encourage you to take advantage of blood pressure monitoring, reflexology, massage services, peer support, guest speakers, and more. *Some programs are by appointment only. Please call the facility to confirm availability. Burnaby Partners in Seniors’ Wellness works in collaboration with the City of Burnaby, Parks, Recreation and Cultural Services Department, to provide programs and service. 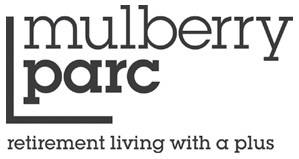 Burnaby Partners in Seniors Wellness thank our sponsor Mulberry PARC for their generous support.